Our beautiful magazine is available from retail stockists throughout the UK. Pick up your copy from selected WHSmith, Marks & Spencer, Sainsbury’s, Tesco, Waitrose and all good independent magazine retailers now. If you have trouble finding a local stockist on this list, please email us at hq@lizearlewellbeing.com so we can help. You can also order from your local newsagent. 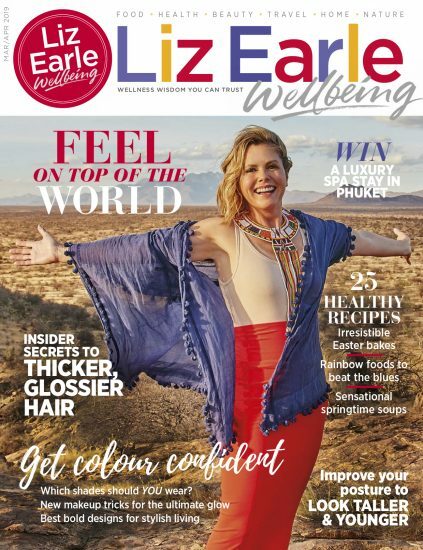 Or subscribe to Liz Earle Wellbeing here to have each issue delivered straight to your door with FREE UK postage and packaging. This the best way to ensure you never miss a single issue!